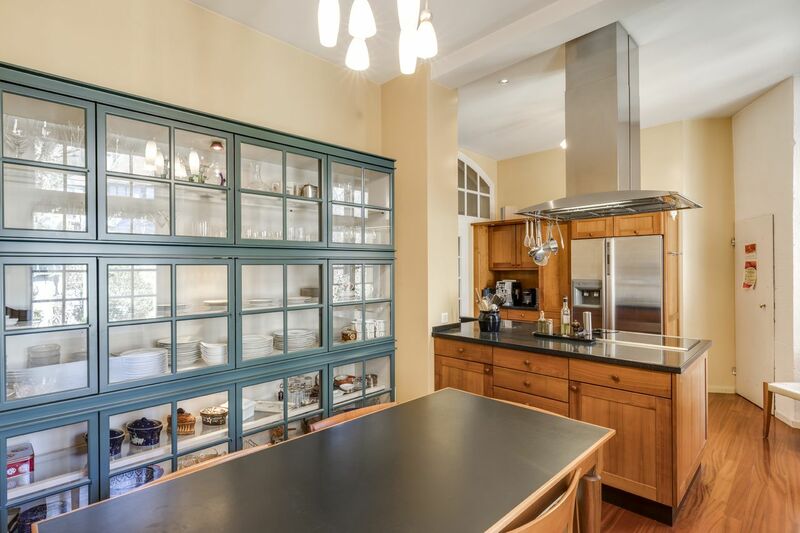 This mansion dating back several centuries enjoys a commanding position. 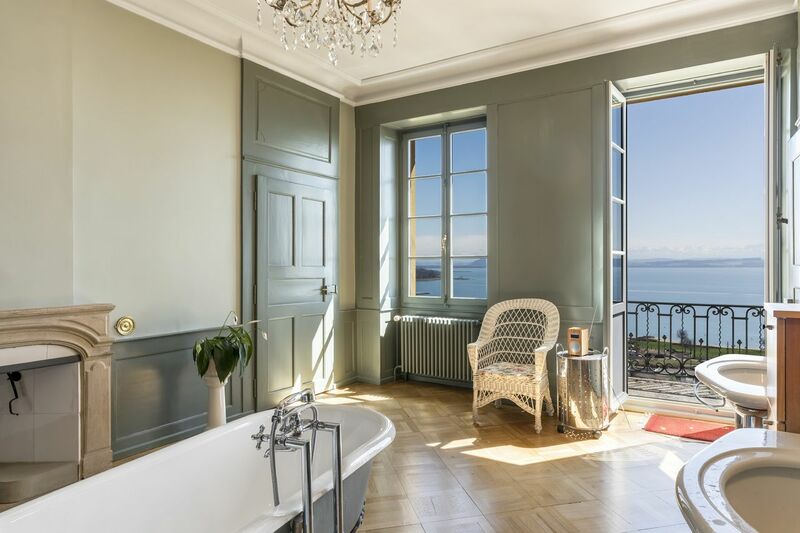 It features terraced gardens that boast breathtaking views over Lake Neuchâtel. 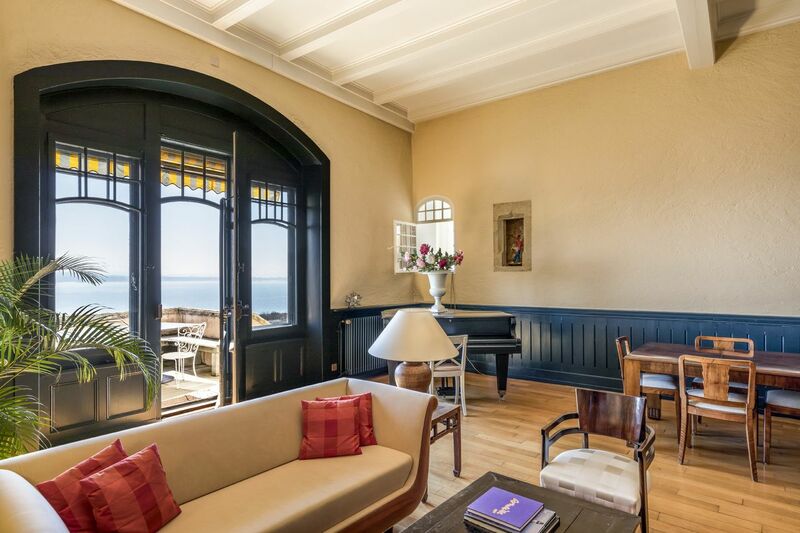 Built in 1690 and renovated several times while remaining true to the original structure, this property comprises 12.5 rooms over two floors, offering a total living area of approximately 377 m². 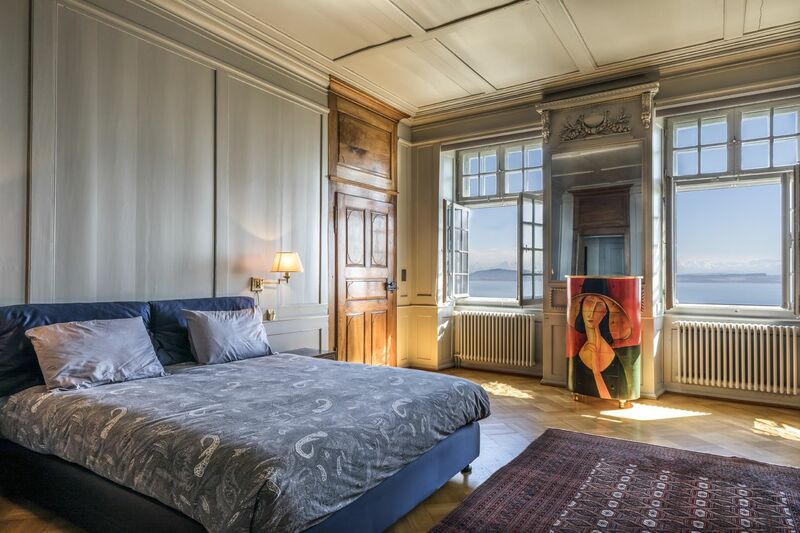 The spacious timber-framed rooms are home to a Louis XVI fireplace and two tiled stoves. The magnificent period parquet flooring perfectly complements the bedrooms and dining room. This residence also has a 2.5 room apartment with a separate entrance, making it ideal for staff, visiting family or as a rental property. 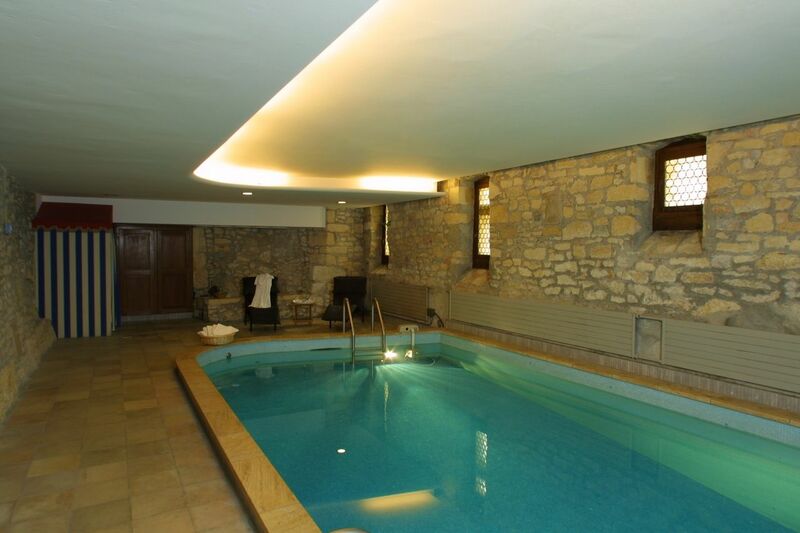 A spacious indoor pool on the lower ground floor is certain to be a hit with families. The loft of 230 m² can be fitted as you desire. 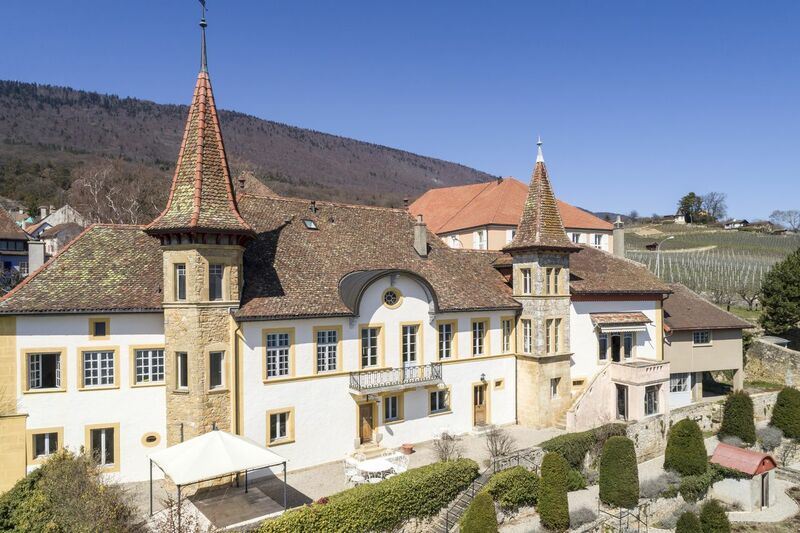 A lakeside municipality situated 4 km from Neuchâtel, 70 km from Lausanne and 50 km from Bern, Hauterive enjoys direct access to the motorway and a varied landscape featuring both the lake and mountains. This mansion, known as ‘le château’, probably dates back to 1699, with the earliest estimate at 1690. In 1732, master carpenter Frédéric Barbezat from Les Verrières constructed a new pavilion roof over the main building and annex. 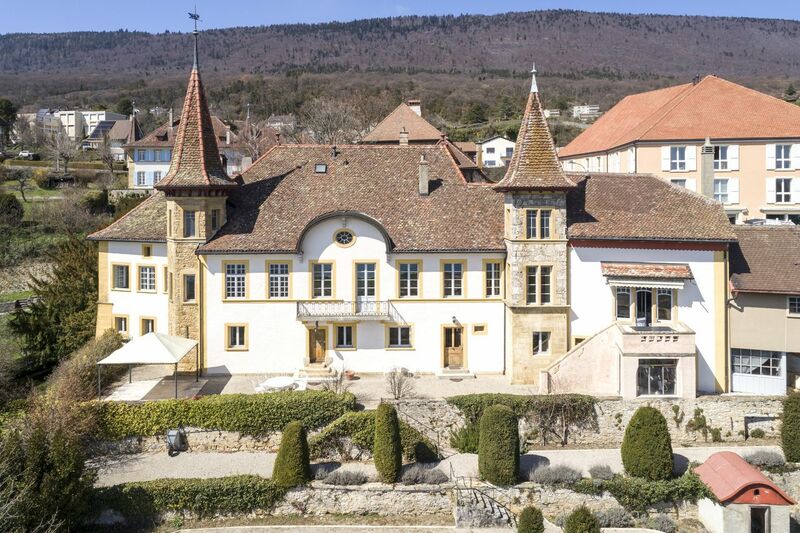 In 1903, architect Léo Châtelain was commissioned by Charles Zumbach to add modern turrets to the house, which then became known in Hauterive as 'le château'. In 1997, the residence underwent full renovation and conversion works. The mix of materials (limestone and yellow stone) is a characteristic feature of the property. The house is connected to clean water and waste water systems, while the oil-fuelled central heating is distributed via radiators. A two-car garage completes the property.